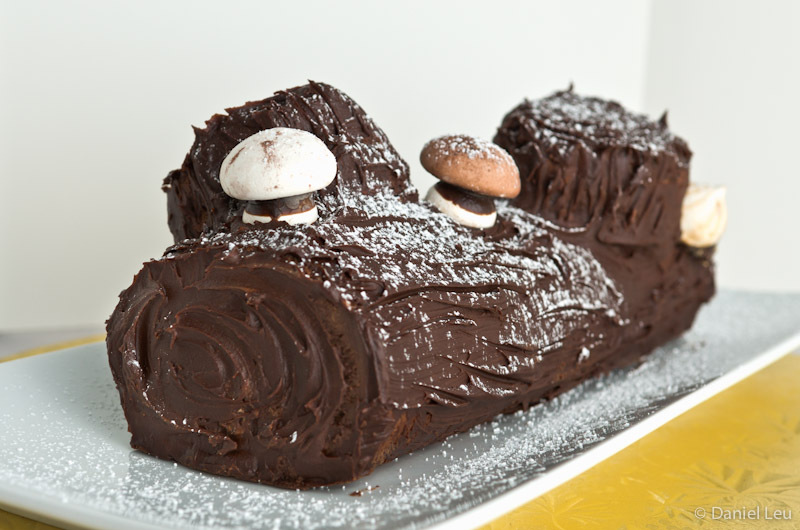 For this year’s Christmas Eve dinner, I made my own buche de noel. It was a bit of work, but the result was even sweeter than it looks like. Yeah, there is a lot of chocolate in this log. Yummy! Happy Holidays to everyone!